Our canine friends need antioxidants as much as we do - to prevent or slow down oxidation and cell damages. Many people can name "well-known" antioxidants such as Coenzyme Q10, beta carotene, vitamins C and E, and so on. 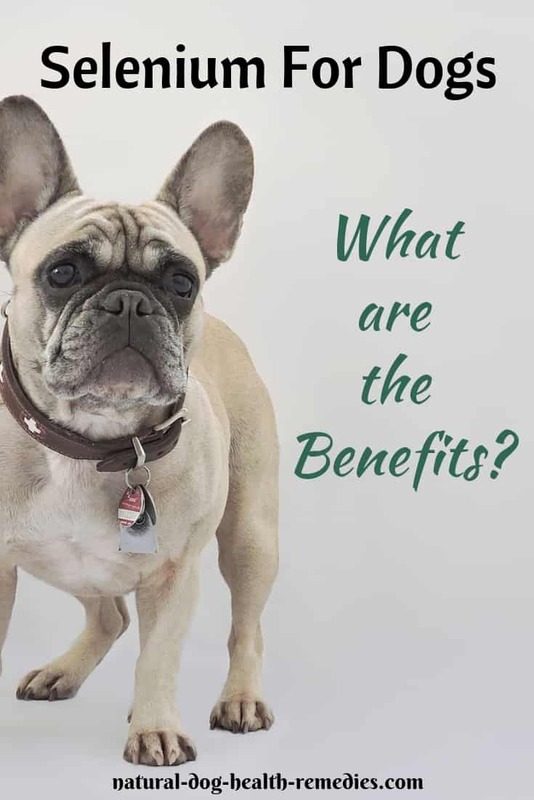 While selenium does not seem to receive as much attention as the above-named antioxidants, it doesn't mean that selenium benefits for dogs (and people) are negligible. On the contrary, selenium is vital to the health of both animals and people. Selenium is a trace mineral that is found in most foods and in every living cell in the bodies of humans and animals. When ingested, selenium is converted in the body to an enzyme called glutathione peroxidase. This enzyme acts as an antioxidant to protect cells from damage by free radicals. Selenium occurs naturally in soil. However, in many regions, selenium levels are low or depleted due to improper farming practices. As such, foods grown in such regions have lower levels of selenium that those grown in soil with abundant levels of the mineral. Selenium can be found in many foods, including nuts (especially Brazil nuts), seafood, eggs, cheese, rice, and more. But as mentioned above, soil in many regions is depleted of selenium. It means that a lot of foods no longer contain adequate levels of this trace mineral that is important to our dogs' health. Selenium benefits not only people, but dogs as well. This mineral has been found to be able to slow down cellular aging caused by oxidation. It also promotes and preserves tissue elasticity, so it can help maintain healthy membrane tissues. Selenium also potentially increases the effectiveness of vitamin E.
In addition, selenium helps maintain thyroid hormone levels. Recently, it has been shown that there is a link between selenium deficiency and hypothyroidism. Furthermore, selenium can combat inflammation. Moreover, selenium has been found have anti-cancerous properties, and is often used in dogs with cancer. Older dogs can be supplemented with selenium for cancer prevention. Dogs with cancer undergoing chemotherapy also benefit from low doses of selenium supplementation. 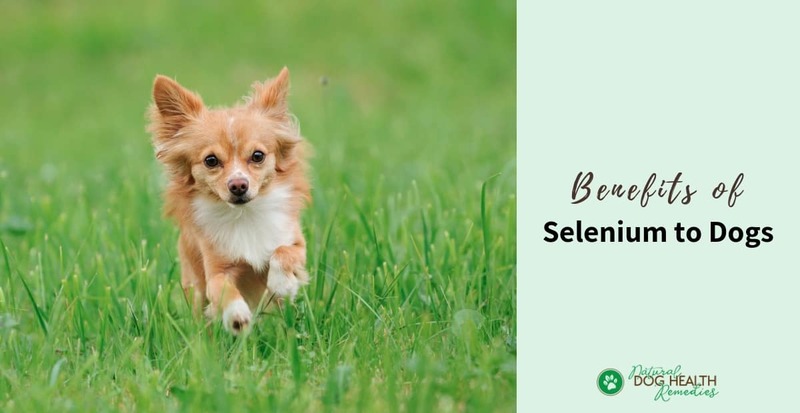 Unless you have access to organically raised food with adequate selenium levels, you may want to consider selenium supplementation for your dog. The AAFCO (The Association of American Feed Control) recommendation is 0.11 mg/kg of food (dry matter basis) for dogs. According to Dr. Messonnier (author of Natural Health Bible for Dogs and Cats), further studies suggest that this dosage could be doubled. Bear in mind, however, that excessive dosage of selenium could lead to toxicity. As a safety precaution, consult with a holistic vet regarding dosage before you start giving this mineral to your dog. Selenium should be taken with vitamin E because it works best together with vitamin E to help fight oxidative damage in your dog's body. S. Messonnier, Natural Health Bible for Dogs and Cats (Three Rivers Press, 2001). Association of American Feed Control. Selenium - Health Professionals Fact Sheet.